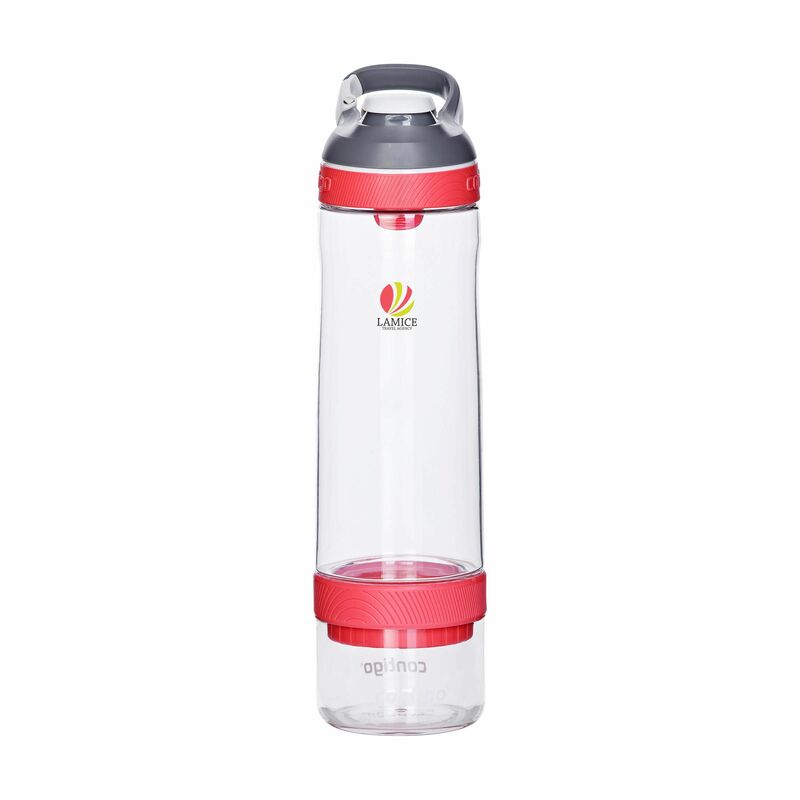 The contigo® cortland infuser water bottle that is chosen in most cases can be selected via our website. Smart water bottle made of clear BPA-free Tritan. With AUTOSEAL® technology (100% spill and leak-free design. AUTOSEAL® press the button, take a nip. The drinking hole closes automatically after each nip). Unique locking system, carabiner and special infusion cup at the bottom. Fill the infusion cup with herbs or fruit and fill the bottle with water. Attach both parts in a snap to each other. The fruit flavour mixes with the water. Thanks to the special strainer the fruit does not float in the bottle. A real recommendation. Dishwasher safe. Incl. instructions. Content 750 ml. Contigo® The best in quality, design and technology. Immediately recognisable by its sleek and stylish design, strong and solid. The innovative Contigo® water bottles and thermo cups are odourless, tasteless, BPA-free and based on the revolutionary AUTOSEAL® or AUTOSPOUT® technology (2 year warranty). Closed the spout is protected from dirt and microbes. 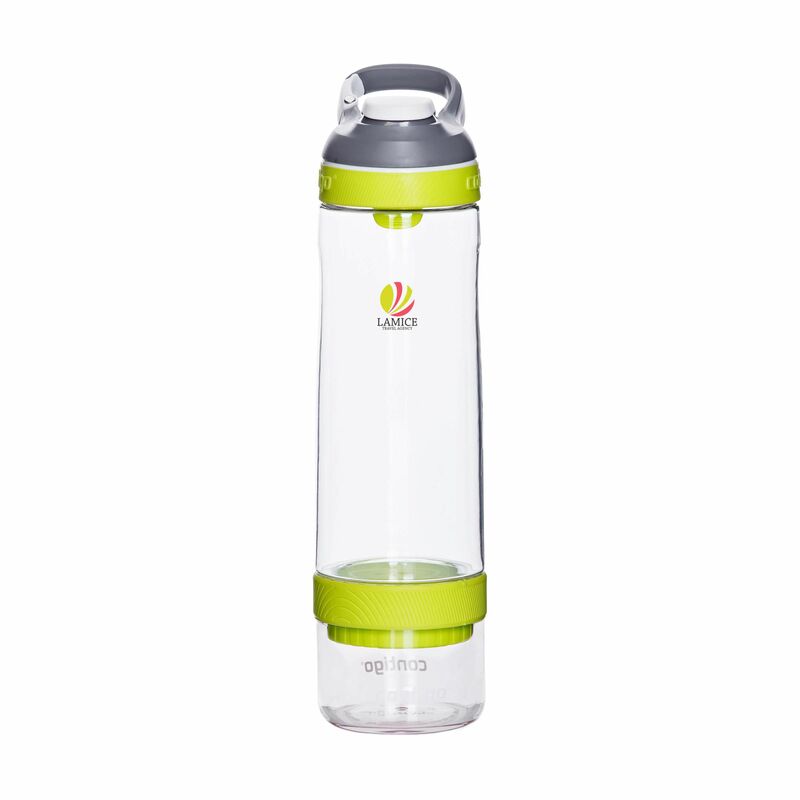 The drinking bottles are one-hand operated and guaranteed 100% leak-free, so always and everywhere to use. Our top favorites for a durable promotion!